Recent Arrival! ***VW CERTIFIED AT NO ADDITIONAL CHARGE! ***, ABS brakes, Compass, Electronic Stability Control, Heated door mirrors, Heated Front Bucket Seats, Heated front seats, Illuminated entry, Low tire pressure warning, Remote keyless entry, Traction control, VW CPO! INCLUDES 2 EXTRA YEARS OF VW WARRANTY!. 2016 Volkswagen Tiguan S 2.0L 4-Cylinder Turbocharged 6-Speed Automatic with Tiptronic 21/26 City/Highway MPG Odometer is 14313 miles below market average! At Bill Jacobs VW we place a “high priority on the quality of vehicles” we offer for sale. All of our vehicles have passed a rigorous inspection process by our team of Top-Tier Certified Technicians. Bill Jacobs VW is a name you can trust! The Cars will bring you in...the EXPERIENCE will bring you back! Please call, or email to schedule a test drive today! ***THAT'S 7 TOTAL YEARS OF VW WARRANTY!! *** ***VW CERTIFIED AT NO ADDITIONAL CHARGE! ***, ABS brakes, Active Cruise Control, Electronic Stability Control, Front dual zone A/C, Heated door mirrors, Heated Front Comfort Seats, Heated front seats, Illuminated entry, Low tire pressure warning, Remote keyless entry, Traction control. 2018 Volkswagen Passat 2.0T R-Line 2.0L TSI 6-Speed Automatic with Tiptronic 25/36 City/Highway MPG Odometer is 17805 miles below market average! At Bill Jacobs VW we place a “high priority on the quality of vehicles” we offer for sale. All of our vehicles have passed a rigorous inspection process by our team of Top-Tier Certified Technicians. Bill Jacobs VW is a name you can trust! The Cars will bring you in...the EXPERIENCE will bring you back! Please call, or email to schedule a test drive today! ***VW CERTIFIED AT NO ADDITIONAL CHARGE! ***, ABS brakes, Alloy wheels, Compass, Electronic Stability Control, Emergency communication system, Heated door mirrors, Heated Front Bucket Seats, Heated front seats, Illuminated entry, Low tire pressure warning, Power driver seat, Power steering, Power windows, Remote keyless entry, Steering wheel mounted audio controls, Traction control. 2016 Volkswagen Tiguan R-Line 2.0L 4-Cylinder Turbocharged 6-Speed Automatic with Tiptronic 20/26 City/Highway MPG Odometer is 4382 miles below market average! At Bill Jacobs VW we place a “high priority on the quality of vehicles” we offer for sale. All of our vehicles have passed a rigorous inspection process by our team of Top-Tier Certified Technicians. Bill Jacobs VW is a name you can trust! The Cars will bring you in...the EXPERIENCE will bring you back! Please call, or email to schedule a test drive today! ***1 OWNER***, ***VW CERTIFIED AT NO ADDITIONAL CHARGE! ***, ABS brakes, Alloy wheels, Compass, Electronic Stability Control, Emergency communication system, Front dual zone A/C, Heated door mirrors, Heated front seats, Illuminated entry, Low tire pressure warning, Navigation System, Power moonroof, Remote keyless entry, Traction control. 2016 Volkswagen Jetta 2.0T GLI SEL 2.0L I4 TSI Turbocharged 6-Speed DSG Automatic with Tiptronic 24/33 City/Highway MPG Odometer is 17101 miles below market average! At Bill Jacobs VW we place a “high priority on the quality of vehicles” we offer for sale. All of our vehicles have passed a rigorous inspection process by our team of Top-Tier Certified Technicians. Bill Jacobs VW is a name you can trust! The Cars will bring you in...the EXPERIENCE will bring you back! Please call, or email to schedule a test drive today! ***THAT'S 7 TOTAL YEARS OF VW WARRANTY!! *** ***VW CERTIFIED AT NO ADDITIONAL CHARGE!***. 2018 Volkswagen Passat 2.0T SE 2.0L TSI 6-Speed Automatic with Tiptronic 25/36 City/Highway MPG At Bill Jacobs VW we place a “high priority on the quality of vehicles” we offer for sale. All of our vehicles have passed a rigorous inspection process by our team of Top-Tier Certified Technicians. Bill Jacobs VW is a name you can trust! The Cars will bring you in...the EXPERIENCE will bring you back! Please call, or email to schedule a test drive today! Recent Arrival! ***VW CERTIFIED AT NO ADDITIONAL CHARGE! ***, **VW CERTIFED, INCLUDES 7 YEAR VW WARRANTY!**. 2018 Volkswagen Passat 2.0T SE 2.0L TSI 6-Speed Automatic with Tiptronic 25/36 City/Highway MPG Odometer is 1047 miles below market average! At Bill Jacobs VW we place a “high priority on the quality of vehicles” we offer for sale. All of our vehicles have passed a rigorous inspection process by our team of Top-Tier Certified Technicians. Bill Jacobs VW is a name you can trust! The Cars will bring you in...the EXPERIENCE will bring you back! Please call, or email to schedule a test drive today! **TURBO**, **SUPER CLEAN**`, **COLD WEATHER PACKAGE**, **MEDIA PACKAGE**, **POWER-FOLDING MIRRORS**, **AUTO-DIMMING MIRRORS**, **HEATED FRONT SEATS**, **PANORAMIC MOONROOF**, **REAR VIEW CAMERA**, **BACK UP SENSORS**, **MINI CONNECTED**, **SMARTPHONE COMPATIBLE**, **BLUETOOTH**, **USB**, **AUTOMATIC CLIMATE CONTROL**, **AUTOMATIC HEADLIGHTS**, **AUTOMATIC RAIN-SENSING WINDSHIELD WIPERS**, **16" VICTORY SPOKE BLACK WHEELS**, **BOUGHT HERE SERVICED HERE**, **BALANCE OF FACTORY WARRANTY**, **1 OWNER ACCIDENT FREE**, **MINI CERTIFIED PRE-OWNED WARRANTY**, **5 YEAR / UNLIMITED MILES MINI CERTIFIED PRE-OWNED WARRANTY**, ABS brakes, Auto-Dimming Interior & Exterior Mirrors, Center Armrest, Cold Weather Package, Electronic Stability Control, Enhanced USB & Bluetooth, Front dual zone A/C, Heated door mirrors, Heated Front Seats, Illuminated entry, Low tire pressure warning, Media Package, MINI 6.5" Visual Boost Screen, Panoramic Moonroof, Power-Folding Exterior Mirrors, Rear-View Camera, Remote keyless entry, Traction control, Wheels: 16" x 6.5" Victory Spoke Black. Certified. MINI Certified Pre-Owned Details: * 1 year/Unlimited miles beginning after new car warranty expires or from certified purchase date * Roadside Assistance * Vehicle History * Transferable Warranty * Warranty Deductible: $0 * Multipoint Point Inspection Odometer is 16829 miles below market average! 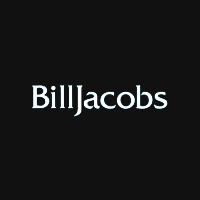 Plus, the Bill Jacobs Auto Family has grown into one of the most respected businesses in the Chicagoland Area. We feature one of the largest selections of Certified MINI’s and Pre-Owned vehicles in the Midwest. We boast a BRAND NEW STATE-OF-THE-ART FACILITY with unparalleled accommodations, developed to be one of Illinois' most environmentally advanced dealerships according to LEED guidelines. Here at Bill Jacobs MINI we offer complimentary MINI Courtesy/Demo vehicles while you service your vehicle, and our car wash is open and available to you six days a week. If you are looking to purchase from out of state, we are less than 30 minutes from either Chicago airport. Please check us out online @ www.billjacobsmini.com. ***THAT'S 7 TOTAL YEARS OF VW WARRANTY!! *** ***VW CERTIFIED AT NO ADDITIONAL CHARGE!***. 2018 Volkswagen Passat 2.0T SE 2.0L TSI 6-Speed Automatic with Tiptronic 25/36 City/Highway MPG Odometer is 2902 miles below market average! At Bill Jacobs VW we place a “high priority on the quality of vehicles” we offer for sale. All of our vehicles have passed a rigorous inspection process by our team of Top-Tier Certified Technicians. Bill Jacobs VW is a name you can trust! The Cars will bring you in...the EXPERIENCE will bring you back! Please call, or email to schedule a test drive today! Recent Arrival! ***VW CERTIFIED AT NO ADDITIONAL CHARGE! ***, ***VW CORPORATE COMPANY CAR!! **, ***YES, ONLY 367 MILES!!***. 2017 Volkswagen Golf GTI S 2.0L TSI 6-Speed Manual 24/34 City/Highway MPG Odometer is 22690 miles below market average! At Bill Jacobs VW we place a “high priority on the quality of vehicles” we offer for sale. All of our vehicles have passed a rigorous inspection process by our team of Top-Tier Certified Technicians. Bill Jacobs VW is a name you can trust! The Cars will bring you in...the EXPERIENCE will bring you back! Please call, or email to schedule a test drive today! **EXCELLENT MPGs**, **ALL WHEEL DRIVE**, **CLASSIC TRIM**, **HEATED FRONT SEATS**, **REAR VIEW CAMERA**, **BACK UP SENSORS**, **MINI CONNECTED**, **SMARTPHONE COMPATIBLE**, **BLUETOOTH**, **USB**, **AUTOMATIC HEADLIGHTS**, **AUTOMATIC RAIN-SENSING WINDSHIELD WIPERS**, **ALLOY WHEELS**, **BALANCE OF FACTORY WARRANTY**, **ACCIDENT FREE VEHICLE HISTORY**, **MINI CERTIFIED PRE-OWNED WARRANTY**, **5 YEAR / UNLIMITED MILES MINI CERTIFIED PRE-OWNED WARRANTY**, Badge Deletion, Classic Trim, Heated Front Seats, Manual Climate Control, Wheels: 16" x 7.0" Loop Spoke Silver Alloy. Certified. MINI Certified Pre-Owned Details: * 1 year/Unlimited miles beginning after new car warranty expires or from certified purchase date * Roadside Assistance * Vehicle History * Warranty Deductible: $0 * Transferable Warranty * Multipoint Point Inspection Plus, the Bill Jacobs Auto Family has grown into one of the most respected businesses in the Chicagoland Area. We feature one of the largest selections of Certified MINI’s and Pre-Owned vehicles in the Midwest. We boast a BRAND NEW STATE-OF-THE-ART FACILITY with unparalleled accommodations, developed to be one of Illinois' most environmentally advanced dealerships according to LEED guidelines. Here at Bill Jacobs MINI we offer complimentary MINI Courtesy/Demo vehicles while you service your vehicle, and our car wash is open and available to you six days a week. If you are looking to purchase from out of state, we are less than 30 minutes from either Chicago airport. Please check us out online @ www.billjacobsmini.com. ***THAT'S 7 TOTAL YEARS OF VW WARRANTY!! *** ***VW CERTIFIED AT NO ADDITIONAL CHARGE!***. 2018 Volkswagen Atlas S 2.0L TSI 8-Speed Automatic with Tiptronic 22/26 City/Highway MPG Odometer is 4025 miles below market average! At Bill Jacobs VW we place a “high priority on the quality of vehicles” we offer for sale. All of our vehicles have passed a rigorous inspection process by our team of Top-Tier Certified Technicians. Bill Jacobs VW is a name you can trust! The Cars will bring you in...the EXPERIENCE will bring you back! Please call, or email to schedule a test drive today! **ALL WHEEL DRIVE**, **SIGNATURE TRIM**, **TOUCHSCREEN NAVIGATION PKG**, **NAVIGATION**, **COMFORT ACCESS KEYLESS ENTRY**, **AUTO-DIMMING MIRRORS**, **HEATED FRONT SEATS**, **PANORAMIC MOONROOF**, **SATELLITE RADIO**, **REAR VIEW CAMERA**, **BACK UP SENSORS**, **MINI CONNECTED**, **SMARTPHONE COMPATIBLE**, **BLUETOOTH**, **USB**, **APPLE CARPLAY**, **AUTOMATIC CLIMATE CONTROL**, **AUTOMATIC HEADLIGHTS**, **AUTOMATIC RAIN-SENSING WINDSHIELD WIPERS**, **17" NET BLACK SPOKE WHEELS**, **BALANCE OF FACTORY WARRANTY**, **ACCIDENT FREE VEHICLE HISTORY**, **MINI CERTIFIED PRE-OWNED WARRANTY**, **5 YEAR / UNLIMITED MILES MINI CERTIFIED PRE-OWNED WARRANTY**, Active Driving Assistant, Advanced Real-Time Traffic Information, Apple CarPlay Compatibility, Automatic Climate Control, Black Roof & Mirror Caps, Comfort Access Keyless Entry, Connected Media System w/6.5" Touchscreen, Dynamic Damper Control, Heated Front Seats, MINI Assist eCall, MINI Connected XL, MINI Driving Modes, MINI Navigation, MINI TeleServices, Navigation System, Panoramic Moonroof, Piano Black Interior Surface, Remote Services, Signature Trim, Touchscreen Navigation Package, Wheels: 17" x 7.5" Net Spoke Black Alloy, Wireless Charging & Enhanced Bluetooth. Certified. MINI Certified Pre-Owned Details: * Roadside Assistance * Vehicle History * Warranty Deductible: $0 * 1 year/Unlimited miles beginning after new car warranty expires or from certified purchase date * Multipoint Point Inspection * Transferable Warranty Plus, the Bill Jacobs Auto Family has grown into one of the most respected businesses in the Chicagoland Area. We feature one of the largest selections of Certified MINI’s and Pre-Owned vehicles in the Midwest. We boast a BRAND NEW STATE-OF-THE-ART FACILITY with unparalleled accommodations, developed to be one of Illinois' most environmentally advanced dealerships according to LEED guidelines. Here at Bill Jacobs MINI we offer complimentary MINI Courtesy/Demo vehicles while you service your vehicle, and our car wash is open and available to you six days a week. If you are looking to purchase from out of state, we are less than 30 minutes from either Chicago airport. Please check us out online @ www.billjacobsmini.com.